Two new case studies show how hard it is to cut the gigantic costs of America’s medical industry. The first concerns how tinkering with Medicare payment incentives can drive up some already soaring drug costs. The other revisits how retail clinics that have popped up at chain drug stores affect health care spending. The government and the program’s beneficiaries spent nearly $21 billion on these medicines in 2013, 29 percent more than in 2007, according to a Government Accountability Office report published in November. A big part of the reason spending has shot up is that drug prices have been going up faster than inflation or overall medical costs. The Obama Administration, using its authority under the Affordable Care Act, now wants to experiment to determine what role may be played by “perverse incentives” paid to physicians to prescribe some of these drugs versus others. As a Times column describes it: “Medicare pays doctors the average sales price of the drug, and then tacks on a 6 percent bonus to cover their administrative costs.” MDs get paid more to prescribe pricier meds, even though cheaper alternatives may exist. The paper provides an example of this choice, saying a doctor could pick between two eye therapies costing $2,000 or $50 per treatment; by going high, the doc receives $177 more per treatment. The Times says most doctors consider patients’ needs and resist financial incentives favoring expensive drugs. But with drug costs skyrocketing, doesn’t it make sense to see what happens if this approach changed? I’ve written before, by the way, on the nightmares that patients, physicians, and hospitals are experiencing with drugs skyrocketing in cost, even as they all too often fall short in supply. Big Pharma, predictably, is up in arms over the administration proposals. Cancer doctors, who treat patients with many new and costly drugs, express concern; some say the administration’s efforts may harm patients. 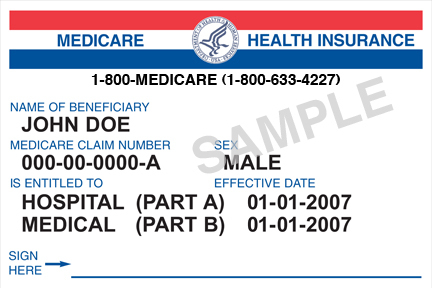 Groups representing Medicare beneficiaries are split. Republican representatives have opposed the mere thought that the Democratic administration would tinker with the existing Medicare incentives. The administration says it will accept public comments until May on the proposed experiments, launching small tests in the field soon thereafter. Meanwhile, to the disappointment of cost-focused reformers, an alternative care option that promised to increase access and convenience turns out to potentially increase not lower spending. Proponents had hoped that retail clinics, including the many that have popped up in chain drug stores, would divert patients with minor complaints to faster, cheaper, and more convenient sites. Optimism once prevailed that these clinics could keep patients out of costly emergency rooms for lesser conditions like colds, sore throats, and small mishaps with cuts and sprains. The clinics can be staffed with nurse practitioners, caregivers holding lesser credentials than, say, the MD-specialists in ERs; they don’t require the expensive, extensive equipment found in hospital emergency trauma units. Alas, their ease and convenience just may encourage patients to seek more care, researchers found. Patients more readily dashed to a nearby retail clinic to get a cold or sore throat checked out; they found it easy to get more vaccinations there. Critics say the study didn’t address cost-savings attributable to early intervention with care for chronic conditions or with illnesses that would be expensive if treatments were delayed.